We got to know him as ‘Bhasme Don’ in the hugely acclaimed movie ‘Pashupati Prasad’. 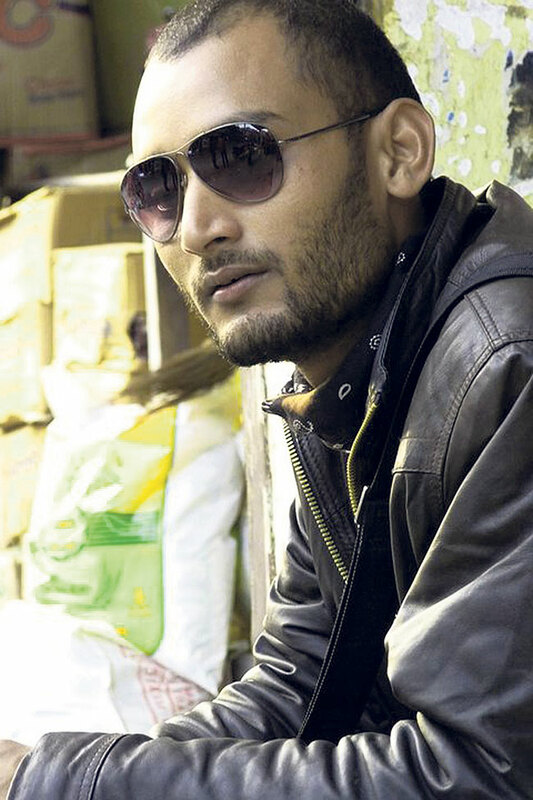 After his latest release Naaka, Bipin Karki is now making a comeback in theater through the play ‘Hariyo Dhunga’ that is currently being staged at Shilpee Theater in Battisputali, Kathmandu. Directed by Sunil Pokherel, the play is based on a true story of Bhutanese refugees in camp. Despite his soaring popularity, there’s a lot that we don’t know about this talented actor. So, The Week caught up with him to get to know him a little better. How did you get into the field of acting? Being an actor was never my dream. It wasn’t a planned thing. It was something that just happened when I was pursuing my Bachelors’ degree. I became interested in acting and then I started to explore. I first began performing at street plays for various awareness campaigns. I found that experience to be so fascinating that that I ended up joining theater. That was a different experience altogether. I really enjoyed having people watch me perform on stage and that’s when I decided to pursue acting as a career. You could say everything else just fell into place after that. Theater or movies, which one do you enjoy and prefer the most? The only difference between acting on stage and acting on screen is the techniques used. It’s a one shot act in theater whereas filming for a movie is more out of sequence, and you get many chances to perfect a shot. Acting on stage lets you build on the continuity of the moment and it feels like you are communicating directly with the audience. It’s because of this thrill that theater will always be my first priority. Having said that, I also appreciate the beauty of cinema because it is through this platform that I was able to reach more people. I think while I will always love theater, it’s cinema that’s made me who I am today. How do you see yourself? Tell us something people generally don’t know about you. If I can say so myself I’m quite cooperative and humble. I don’t like to create a fuss so I’m easy to get along with. I also believe in cultivating a positive mindset and try to stay positive no matter what happens in life. And life has a way of throwing curveballs every now and then. I’m someone who believes making others happy. I enjoy it. I usually don’t have any expectations from others and that’s one of the reasons why it’s easy for me to stay happy. But, of late, I find that there are people who will take advantage of this fact and I sometimes feel that this habit is also my weakness. What do you like to do when you have some free time? I really enjoy music so whenever I have some free time, either I will be strumming my guitar and singing or I will be listening to old classical hits. Other than that, if I don’t have work for more than two days then I will definitely be traveling to different places within Nepal with my friends. I love exploring new places and learning about new cultures, and I use every opportunity I get to do so. People, definitely people. I think I’m blessed to be surrounded by so many wonderful and optimistic people and so it is almost impossible for me to name one person who I really look up to. But if I had to choose then I would have to say actors like Hari Bansha Acharya and Saugat Malla are my sources of inspiration. From their real life stories to the performances you see on screen, everything about them is motivating and extremely uplifting. I feel there’s a lot I can learn from these two. Can you share what’s been the biggest lesson you have learnt till now? I have learnt that you can’t just fall for something that you think will make you popular, or something you think will earn you respect. You have to be honest about who you are and be your true self. That’s the only way you can enjoy what you do and also push yourself beyond your limits. In my profession, you have to believe in your goals and then treat every experience, every audition as the rehearsal phase. It’s preparing you for what’s to come.